OLD PARKED CARS. 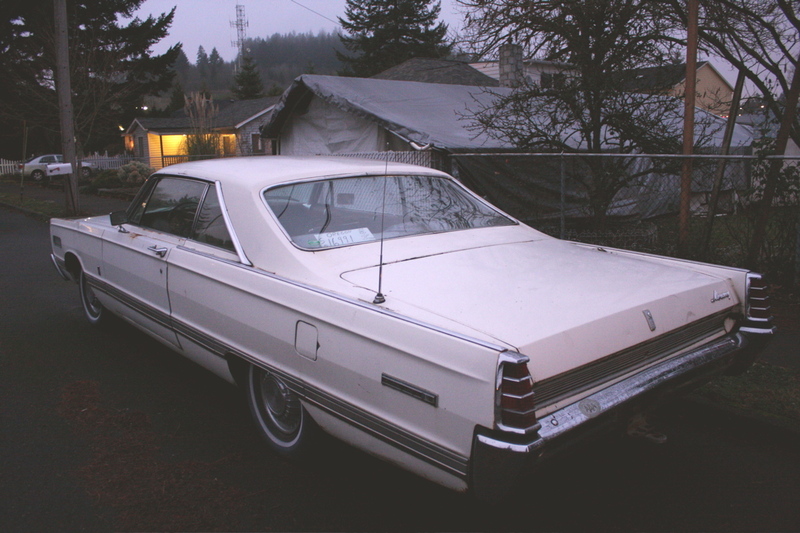 : 1966 Mercury Park Lane. Hmmm...it has lots of "Chrysler" in it. I wonder if the designer left and then designed the late 60's, early 70's Newport and Fury. McGarrett "Hawaii 5-0" cruiser all the way! I specially like its design. It still looks good. I love all the old-school cars and want to customize them :) Nice car! Nguyen is a human spammer I think. Love the grain on the photos, I agree with the first Anon. If I was shopping for a new car in 1966, this is probably what would go through my head. My opinion would be that although the car is clean, it seems a little boring. 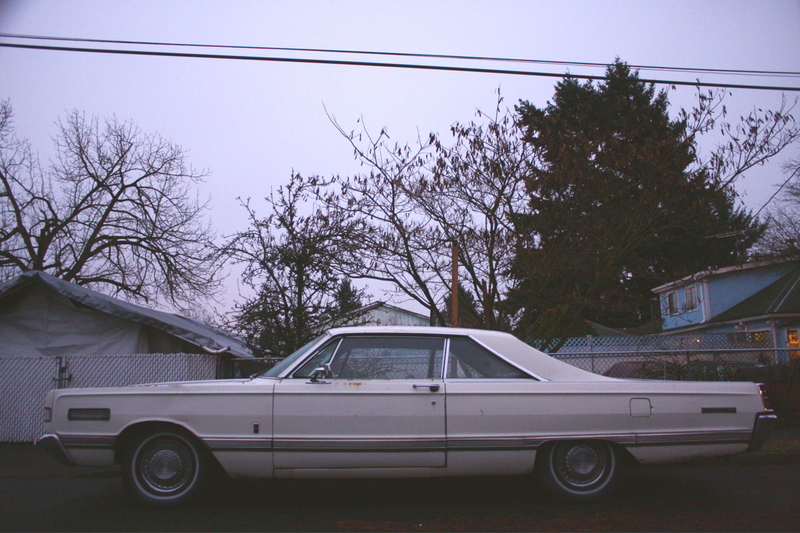 I'm nothing further against it, in fact I like Mercurys. 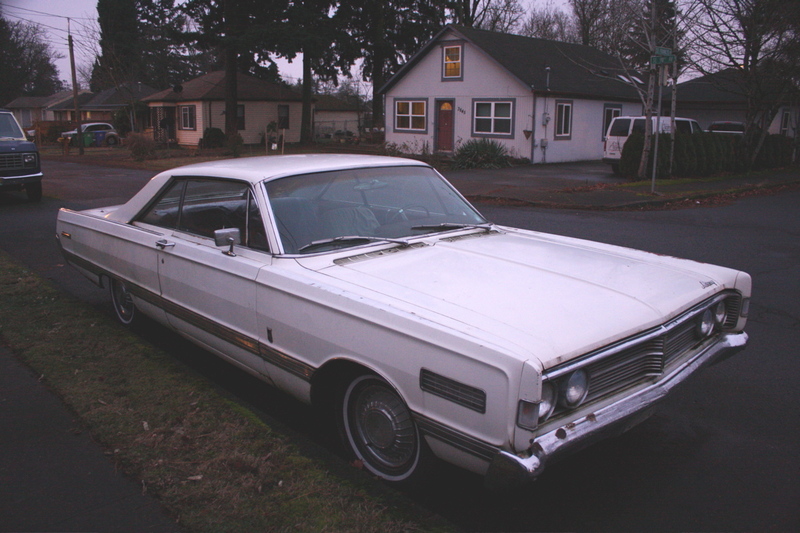 Most likely I would've took the two-door Chrysler for that year, ( THIS MERCURY's COMPETITOR ). I probably would have leaned toward the 300.
if that was a real option. BTW, his was a 4-door HT.